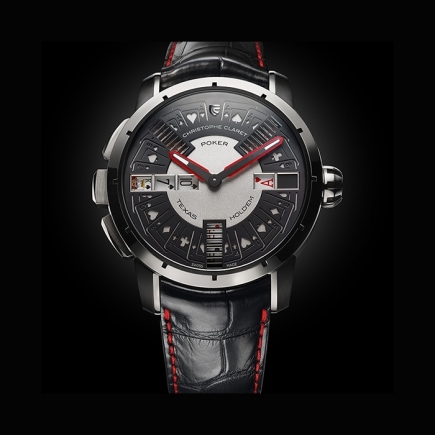 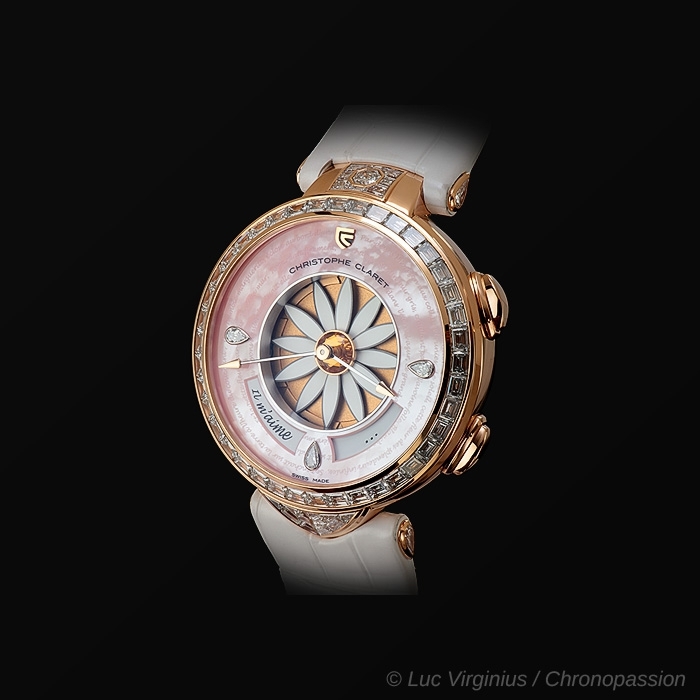 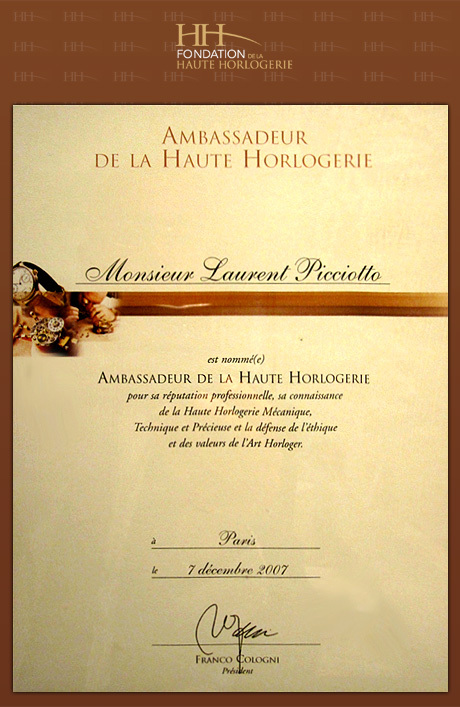 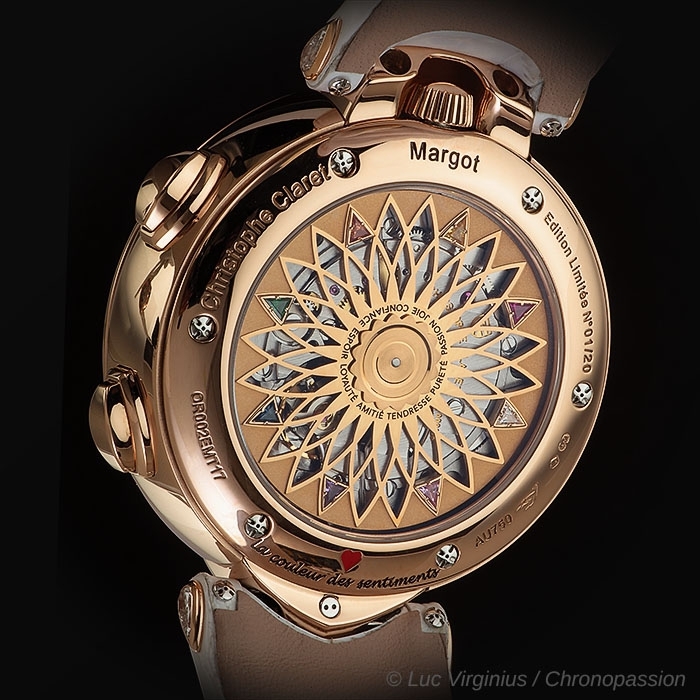 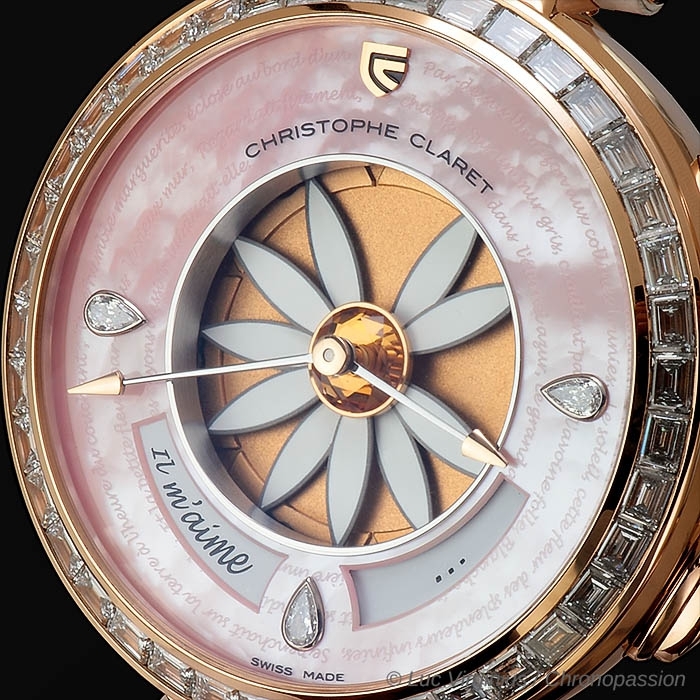 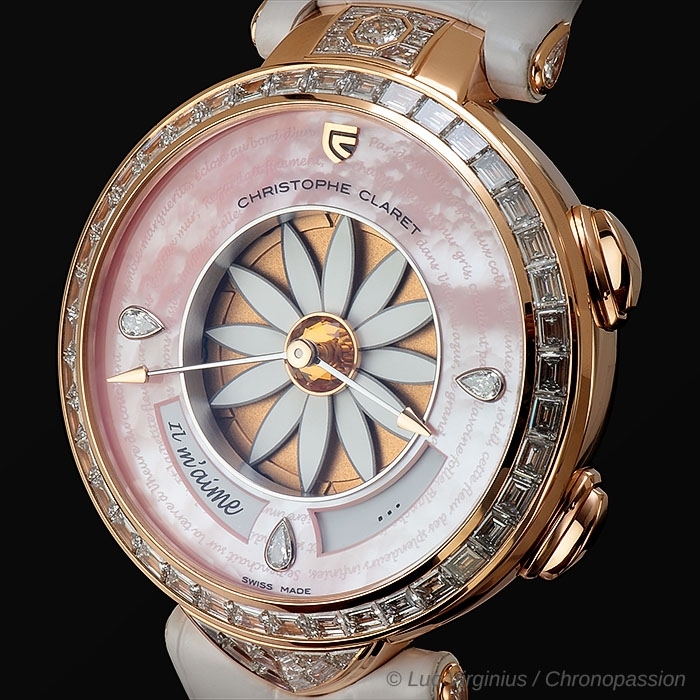 Christophe Claret | 330'000 € Tax inc.
Margot ‘picks petals’ with the simple press of a button. 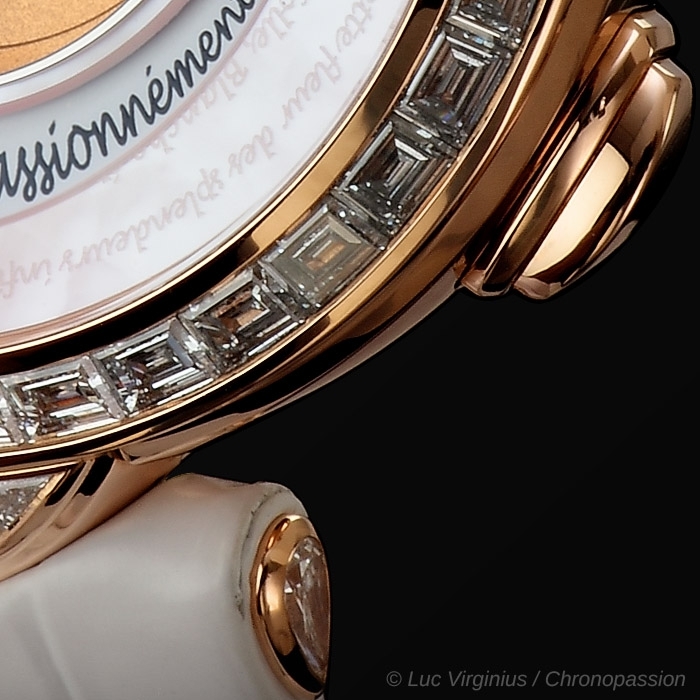 at random in calligraphic letters (in French) on the dial at 4 o’clock: Un peu (a little) – beaucoup (a lot) – passionnément (passionately) – à la folie (madly) – pas du tout (not at all)? 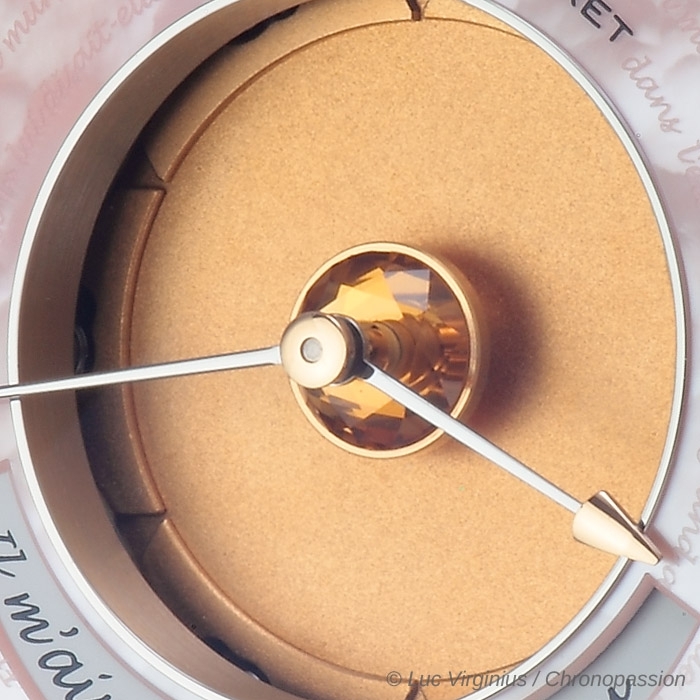 Such an original technique called for ingenious design. 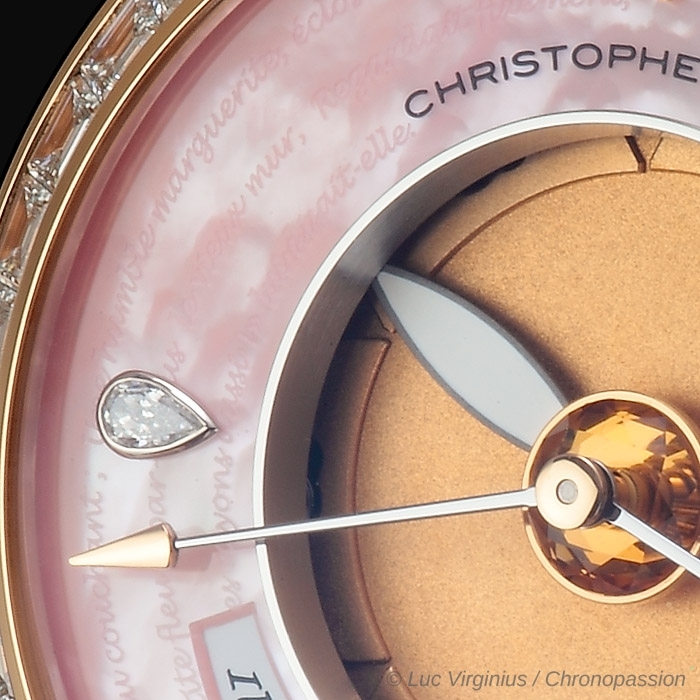 The dial exudes romantic femininity: At the whim of its iridescent reflections, the natural mother of pearl dial reveals delicately engraved verses penned by Victor Hugo, one of the standardbearers of the 19th century French Romantic movement. 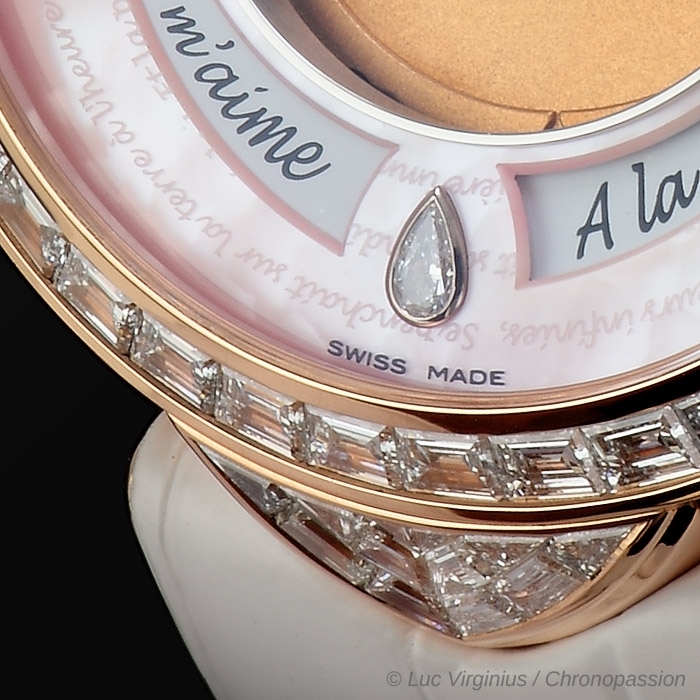 These excerpts are taken from the writer’s classic poem Unité, which features in his compendium Les Contemplations. 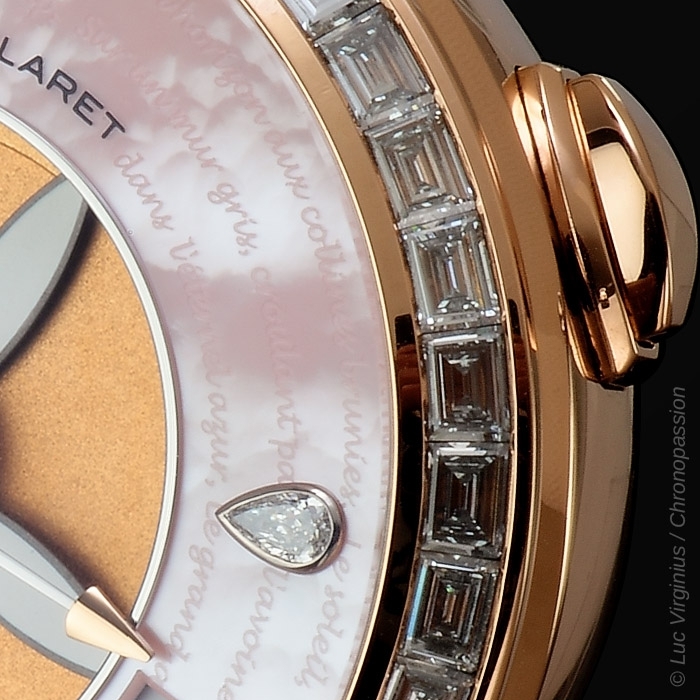 On the dial, three pear-shaped diamonds at 3 o’clock, 6 o’clock and 9 o’clock poetically punctuate the scene. 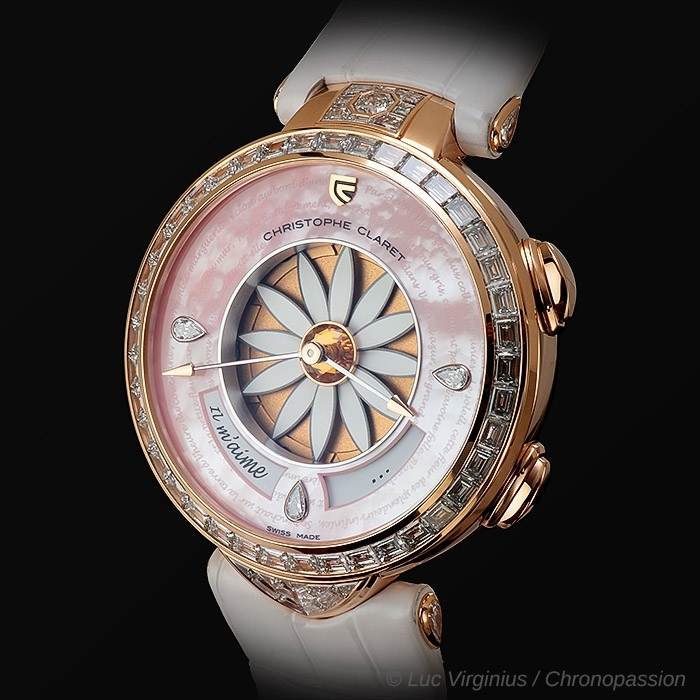 A pair of gold-tipped, steel hands – each delicately rounded by hand – glides over the 12 white, satin-lacquered titanium petals that tightly embrace the central citrine pistil, its multi-level corolla intensifying the threedimensionality of the dial’s landscape. 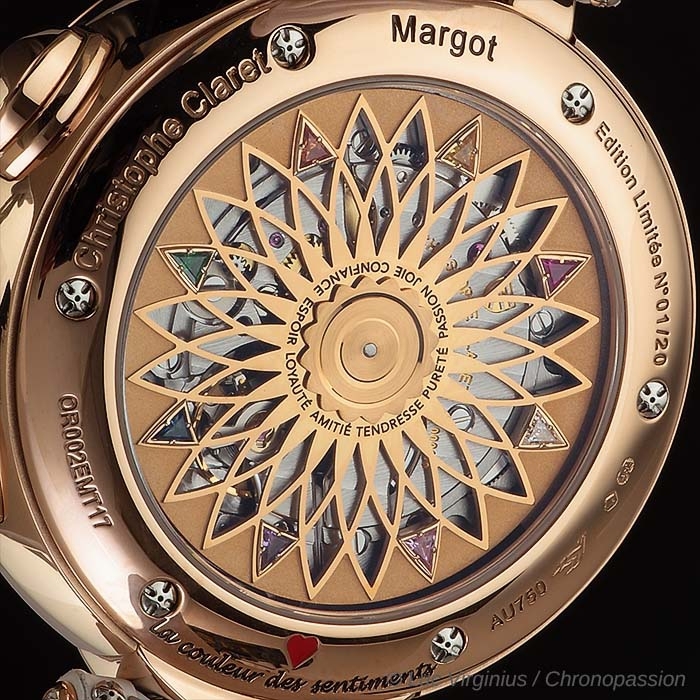 The display back reveals the automatic winding rotor, a delicately carved, flowershaped carrousel of colors symbolizing sentiments of love, with a central cabochon concealing the rotor’s ball bearings. 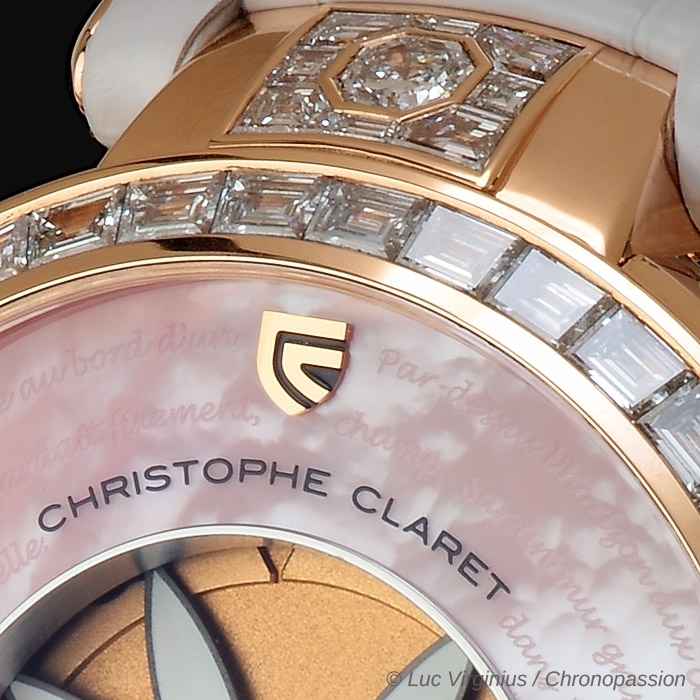 Each one of the eight resplendent triangular precious stones denote a feeling – hope, passion, tenderness… Which one will line up with the red-lacquered heart when the flower halts its waltz?